RFID Kits & Systems - GAO RFID Inc.
GAO RFID Kits are specially pre-configured systems developed for popular RFID applications. Our RFID Kits make it easy for clients looking to use RFID for the first time to order and test the deployment of the solution in their environment. GAO RFID provides a collection of RFID Kits and Systems with different protocols that are designed to offer integrated solutions to meet the various needs of every industry. We offer a number of kits and core systems that pair RFID readers with tags, software, and antennas to meet the need of a business or industry and which can be adapted to meet the user's specific needs. RFID kits and systems provide a number of benefits including saving time and money, increasing productivity, securing and tracking important assets and much more. 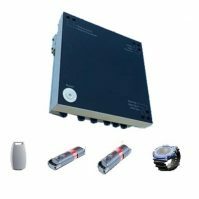 These kits and systems cover a broad range of frequencies that include Active, UHF, Gen2 / EPC, HF, LF and Semi-Passive frequencies to provide tracking ability to different applications across every industry. 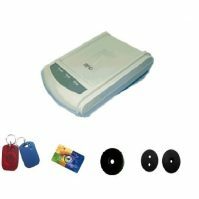 GAO RFID works to provide the best combination of readers and tags to enhance performance and offer the best solutions to our user's needs. 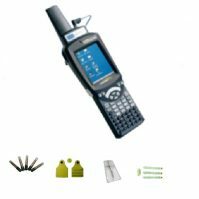 Some of the frequencies available are 125 kHz LF, 13.56 MHz HF, 13.56 MHz/125 kHz Dual Frequency, 134 KHz LF, 134.3 KHz LF, 2.45 GHz Active, 433 MHz Active, and 860-960 MHz UHF. Our RFID Kits and Systems are produced under high-quality standards and are compliant with several industry standards such as ISO, GS1 EPC Global Gen 1 and Gen 2, NFC. Most of the readers and tags available in the kits are weather resistant and are successfully proven for many applications. 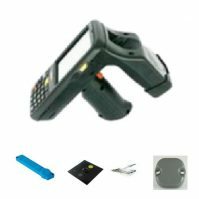 We offer RFID kits and systems in different form factors and materials. Our readers and tags are built with durable and resistant materials available at a diversity of shapes, sizes, and colors to fit the particular needs of every user. The readers are available with a variety of types including Bluetooth, USB, embedded, desktop, barcode, integrated and much more. Additionally, GAO’s RFID Kits and Systems include collections of tags that can withstand high temperature, are waterproof, rugged, work with metal environments or hazardous environments, operate effectively around liquids, used specifically for medical applications and much more. 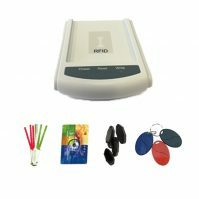 The RFID Kits and Systems offer integrated solutions for the needs of our customers. The devices paired for these integrations have a wide spectrum of applications that include many different types of business and industries. Some of the applications for the RFID kits and systems include personnel identification, authentication, access control, transit, parking, event attendance management, ticketing, card payment, product identification, security patrolling, remote equipment inspection, and maintenance. Other applications for the systems are jewelry inventory, document management, medicine tracking, breeding, dairy operations, animal management, animal tagging, logistics, patrol/mining/finance and railway systems. and railway systems. 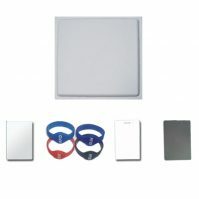 See our large collection of RFID Kits below. If you do not see a system that suits your needs, our team of Experts will be glad to help! 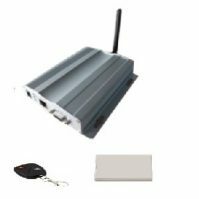 This LF 125 kHz kit is designed for compact outdoor RFID interrogating and is used for access control systems, parking systems, and outdoor applications. 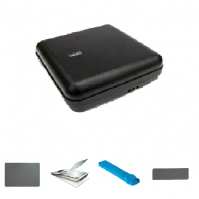 This RFID reader stores the ID-codes of RFID tags in memory, with a date and time stamp. 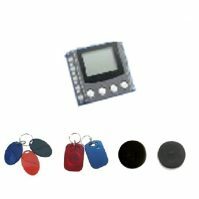 Has an LCD display and LCD status indicator, reading distance of 0.16ft (50mm). This 125 kHz long range auto-tuning circuit reader kit has a built-in antenna and is well suited for parking, personnel access control, warehouse, parking lots. GAO’s 125 KHz low-frequency reader kit enables asset tracking and has been proven successful in usages like livestock tracking, warehousing, and manufacturing. 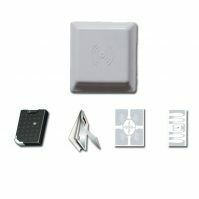 This 125 KHz LF RFID kit is designed to work for a parking control system. It has multiple tags and a reader that are suitable for this application. 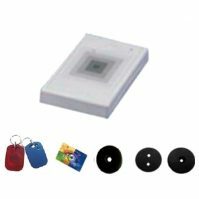 This 13.56 MHz high frequency RFID reader kit is equipped with multiple optional interfaces and compliant with most of the standard protocols, makes it ideal for access control applications. 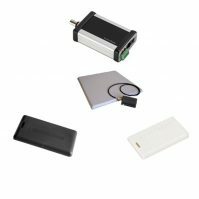 This RFID kit is designed for high-frequency range 13.56 MHz and the ultra-thin reader in this kit provides a read range of up to 1.31 ft. This 13.56 MHz HF RFID kit is designed to work for a parking control system. It has multiple tags and a reader that are suitable for this application. This RFID kit can read up to 50tags/s, compliant to ISO15693 and ISO18000-3 standards, support NFC compatible, and also allows the device to be used on metal. 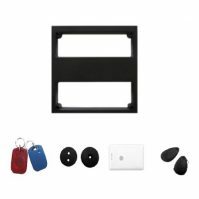 This dual frequency RFID reader kit is compliant with ISO 14443A Mifare MF and Ultralite DESfire protocols. 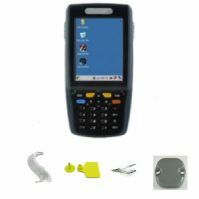 It is used for designing an access control system or similar application. 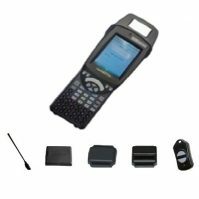 This rugged handheld terminal RFID kit is compatible with a wide range of applications such as dairy operation, veterinarian, animal identification, small parts identification and medical parts. This RFID reader with a built-in antenna can read the data from a distance of 7cm. Reader has long battery life and compact size. 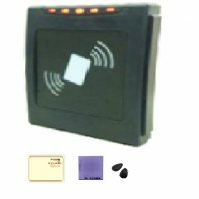 This RFID reader can upload the data in real time via Bluetooth to any enabled pc and the reader feature fast and accurate scanning. 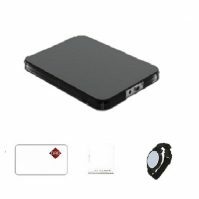 This portable RFID reader which is highly protected from accidental drops has two power modes which enables best read range in one mode and long battery life in another. 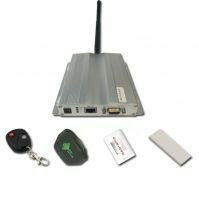 The 2.45GHz active RFID reader kit is commonly used for access control operations. The reader has ultra-low power consumption and has multiple interfaces such as TCP/IP, RS232, and PoE. 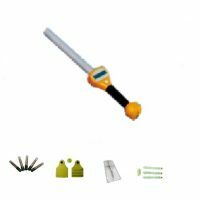 This kit is designed for frequency range 2.45 GHz and the reader here provides a read range of up to 328 feet. It is ideally suited for asset tracking. 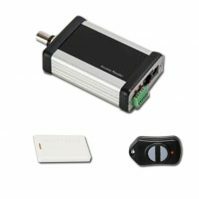 This RFID kit is designed for active frequency range 2.45 GHz and the reader provides a considerable range up to 328 feet which is suited for asset tracking applications. 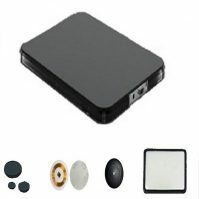 This active 2.45 GHz Rfid reader has built-in antenna, dual operation mode of uploading or data buffering, allowing it to be used for personnel tracking. 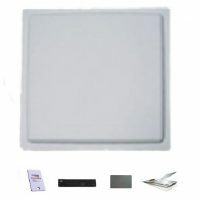 This 433 MHz RFID reader kit consists of a circular polarized external patch antenna with a read range up to 492 ft. The reader has multiple interfaces and collision-avoidance functionality. GAO’s Active 433 MHz Reader kit enables asset tracking and the reader allows ultra-long range asset identification and auditing indoor or outdoor facilities. This 433 MHz UHF Reader kit is designed to work for a parking control system. It has multiple tags and a reader that are suitable for this application. 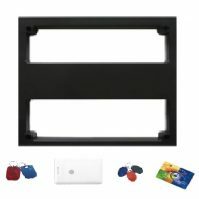 This RFID reader is powerful, robust, and cost effective which also allows the combination with GPRS, GSM, Wi-Fi, and Barcode expansion modules on a single unit. 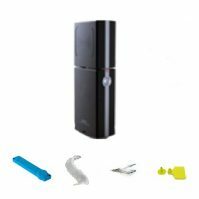 This kit is designed for UHF range 860-960 MHz and the reader here provides a read range of up to 16 feet. It is ideally suited for asset tracking. This 860-960 MHz UHF kit is designed to work for a parking control system. It has multiple tags and a reader that are suitable for this application. 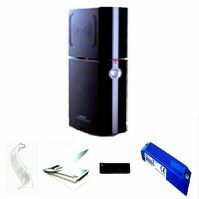 This RFID reader has long read range and high read rate, comes with built-in GPS and can be deployed in all environments, mobile or stationary, outdoor or indoor. This UHF standalone kit is designed to provide a read range of up to 4 inches and is powered by a USB interface. 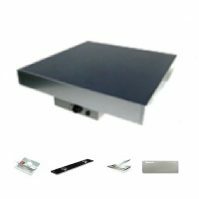 This UHF RFID reader kit is compliant to ISO 18000-6B, EPC Class 1, EPC Class 1 GEN 2 Protocols. 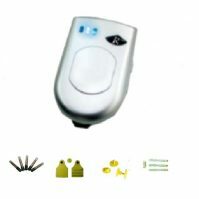 The kit has multiple interfaces and a multi-reader synchronization function. 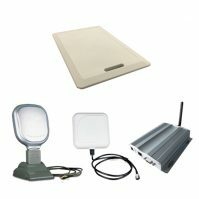 This Active People Tracking RFID system kit consists of a range of 2.45 GHz tags, readers and antennas that can be setup for evaluating the GAO RFID Active Long-Range Personnel Tracking System. 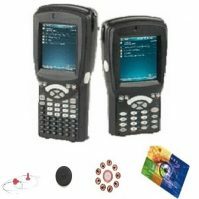 This handheld UHF 860-960 MHz GPD-enabled RFID kit is suitable for asset tracking, logistics and warehouse management. 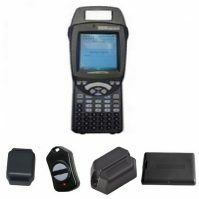 GAO’s handheld UHF/barcode reader with camera RFID kit is suitable for livestock tracking, asset tracking, logistics and warehouse management. 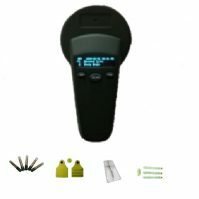 This handheld UHF bluetooth kit is designed to work for access control, asset tracking, warehouse management, livestock tagging. This dual-frequency multi-detection reader RFID kit is assembled for system authorization applications and can read a wide range of RFID tags. 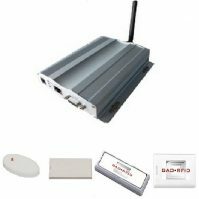 This 865-868MHz quick read-rate industrial reader kit consists of high performance industrial reader which has a built-in antenna and multiple interfaces including WIFI. 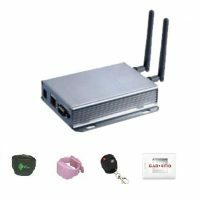 This UHF long range anti-interference RFID kit is suitable for intelligent traffic, parking control, personnel tracking, asset tracking, and access control.